(St. Petersburg, FL) – Soulful blues singer/saxophonist Vanessa Collier, embarks on her ‘Honey Up’ U.S. Tour, in support of her acclaimed new album of the same name, with a local performance at The Ale & The Witch, 111 2nd Ave. Northeast, Thursday, November 1. Showtime: 8pm. Free. Info: (727) 821-2533 or visit http://www.thealeandthewitch.com. It’s not simply the accolades she has accumulated so far, although they’ve been many — three Blues Music Award Nominations (BMAs) for Contemporary Blues Female Artist of the Year (2018) and Horn Player of the Year (2018 and 2017), a Blues Blast Award nomination, the Jamming-est Pro Award bestowed by the Legendary Rhythm & Blues Cruise, First Place for lyrics in the International Songwriting Competition, Best of 2014 Blues Breaker on Dan Aykroyd’s BluesMobile — it’s the fact that she has accumulated all these honors even while her career is still in its infancy. 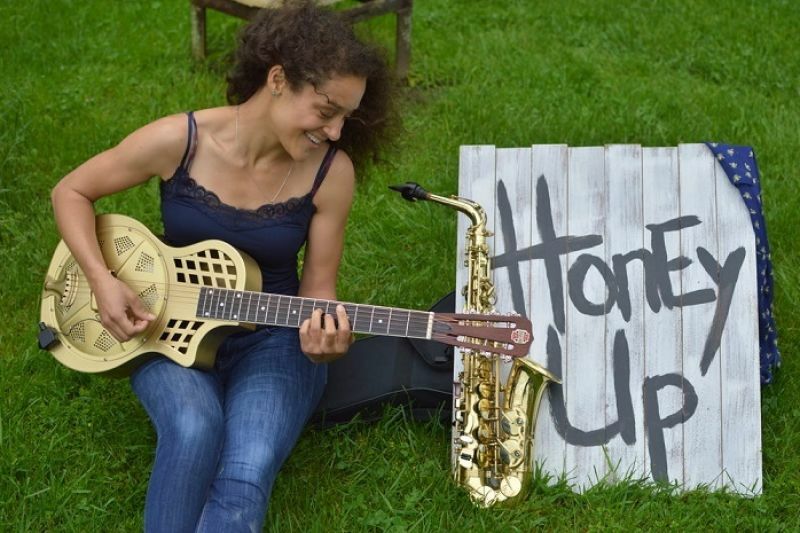 A 2013 graduate of the prestigious Berklee College of Music, she’s toured nationally and internationally, released two critically acclaimed albums (2014’s Heart, Soul & Saxophone and 2017’s Meeting My Shadow), and will release her highly anticipated self-produced third album, Honey Up, in July 2018.